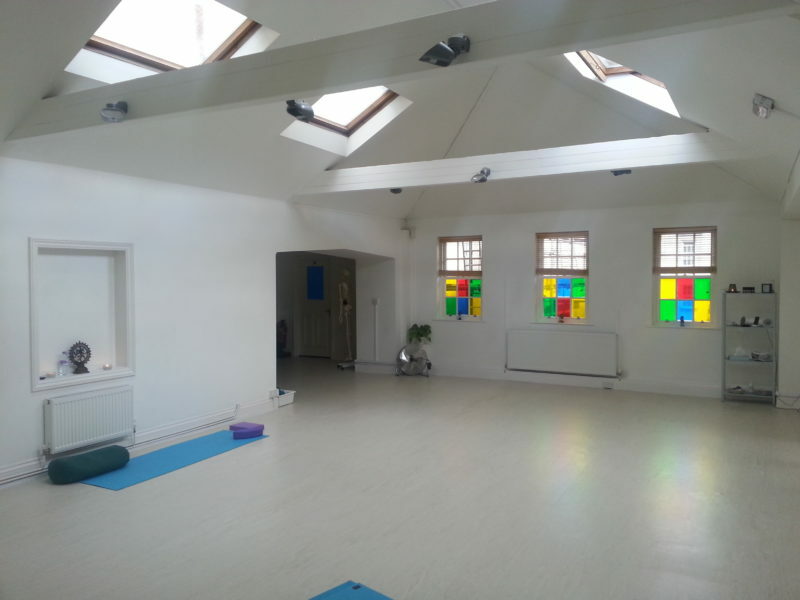 We have two beautiful studios full of natural light. The larger studio Shakti takes up to 28 people and the smaller Shiva up to 14. The studios can be opened into one to accommodate 42 students comfortably. Both rooms are heated, and fully stocked with necessary props. We offer free tea and biscuits to all of our students as well as filtered water. Bottled water can be purchased for £1 a bottle. We have a small but comfortable seating area so you can relax before or after your class. We have separate male and female changing rooms and toilets. We don’t have lockers but we do suggest that you take your valuables eg phone, wallet, jewellery into class with you. Shakti £35 per hour or £30 per hour if taken for the day. Shiva £25 per hour or £20.00 per hour if taken for the day. Shiva and Shakti £60 per hour or £50 per hour if taken for the day.